I did it! I finished side 3 this week! I put a tree (with pick-able apples) and a dog house. Next week I am going to do side 4. 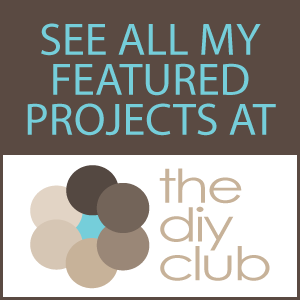 I am also going to show you how I added the lettering to my house. You may have noticed that I have not added a name or address or any other words to my house with felt. That is because I Freezer Paper Stencil them on. It turned out much neater for me to do that way. I will show you that next week! 1. I made a pattern out paper so that they would be the same size and shape. 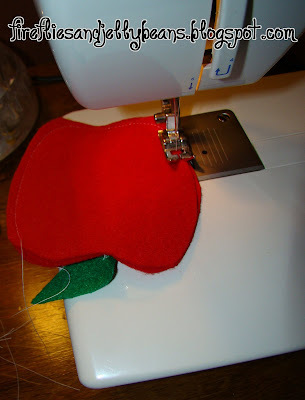 Cut 2 piece from the apple pattern. Also cut out a leaf shape. 2. Sew on a square of Velcro. 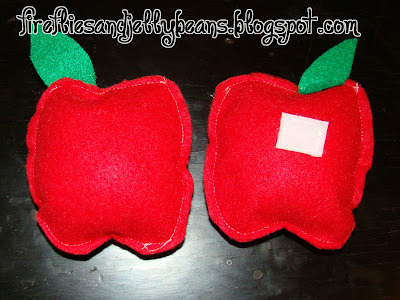 (I used the soft side of the Velcro for the apples and the rough side for the house side) You can also sew on the leaf. 3. 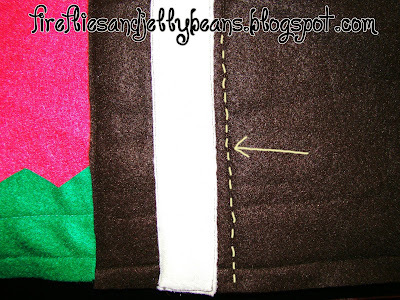 Sew the two sides together with RIGHT sides facing OUT. Leave a opening to fill with stuffing. 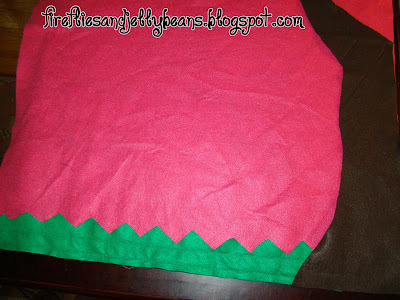 4.Fill with stuffing and sew the opening closed. Repeat for how ever many apples you want. Here is how I made the tree. 1. 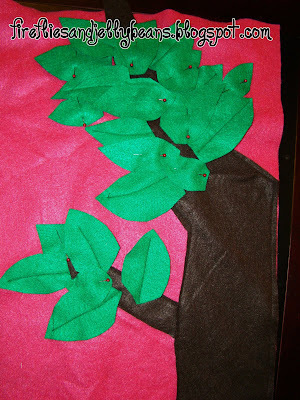 Sew your grass on to your side and cut out a tree shape (I cut out 2 tree shapes that are the same. 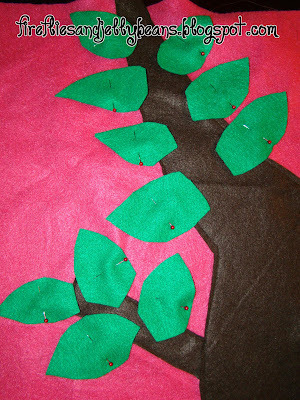 I am going to put the other tree on side 4 to match up on the corner) Pin and sew your tree trunk and branches to your side. ...and I sewed them on with one line down the middle. Don't they look like leaves now. It also adds dimension. 3. 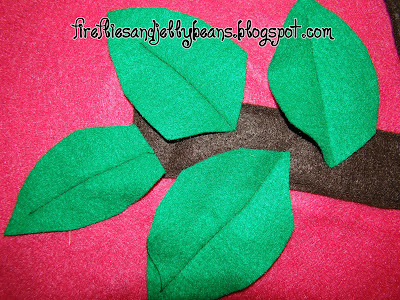 Add another layer of leaves over lapping the first layer, filling in any gaps and sew on the same way. 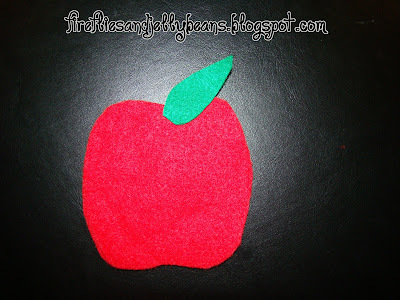 If you are going to add apples or fruit to your tree, sew on the Velcro square now. 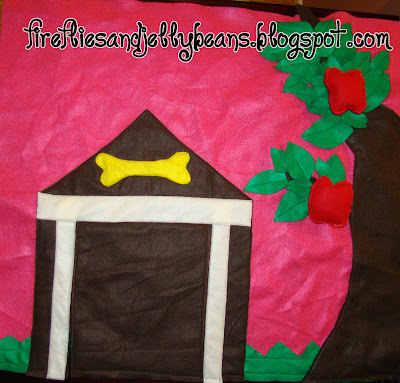 Here is how I made the dog house. 1. 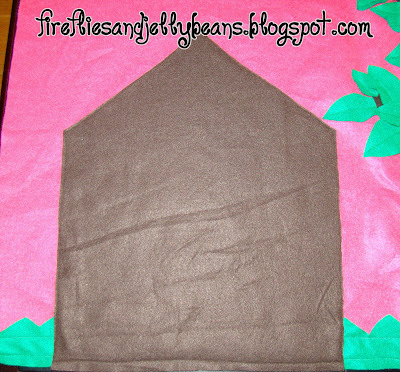 Cut out the house shape and sew it onto the side. 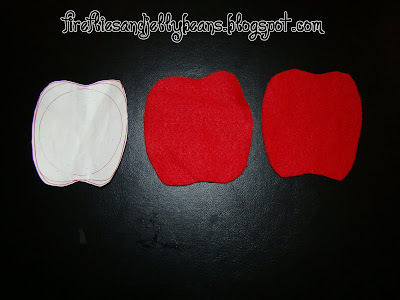 Sew around all 5 sides (including the bottom). 2. Sew on all the trim and accessories onto the house as well. .
4. 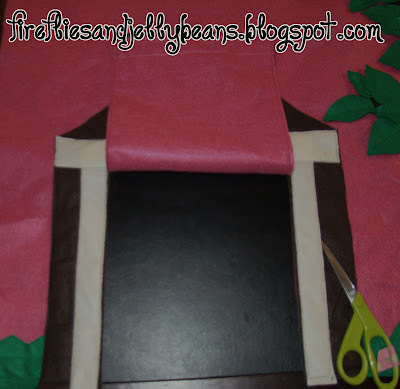 Cut in between the trim and the line that you just sewed to make the flap door. (This is a horrible picture but it is the only one I got of this) I really like how this door turned out. I kind of wish I would have done the front door in a similar way. Side 3 all done! This will be the back side of the house. How are you all doing on your houses? 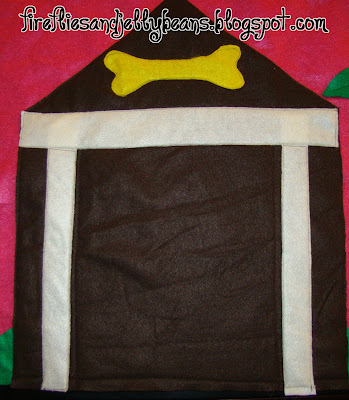 I would love to see the progress or if you have already made a felt playhouse I would love for you to link it up below. 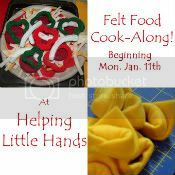 This McLinky is ONLY for the felt house along... please use the Show Off Your Stuff McLinky for ALL other projects! 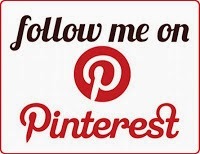 I will delete any link that does not have to do with the felt house along! 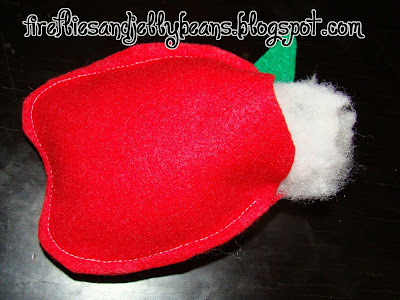 Your is turing out so cute, Im going to do the apple tree on mine as well with the pickable fruit. Were off to a bday part but Ill post pics of mine later. Ive done my three sides so far. 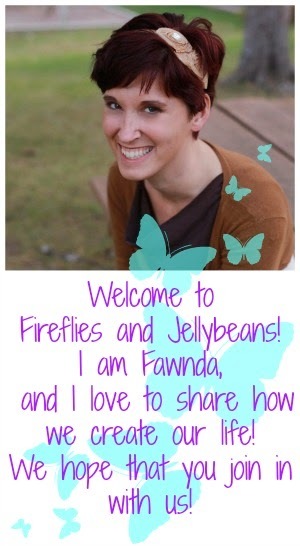 That is so cute!!! My kids would love both the apple tree and the doggie door. I can just see the play house filled with their stuff dogs-they play with them all the time! Thank you so much for doing this and I can't wait to start one!! !